Posted in: Crime Stoppers, Media Release, Put A Name with This Face, Reward, WANTED. Tagged: Dilworth. 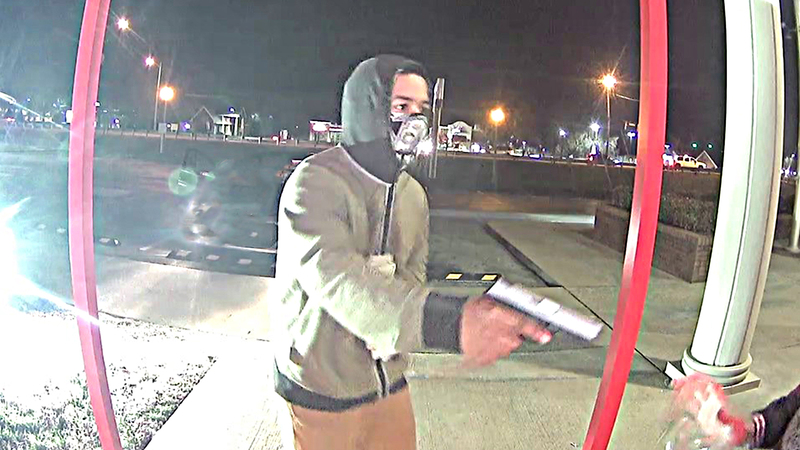 Released February 1, 2019 — Officers were called to the Murfreesboro Road Bank of America, just before 8:00 Thursday night, after a man was robbed at gunpoint. The victim was at the walk-up ATM when a suspect wearing a bandanna over his face approached him with a gun. The robber demanded money and then fled in a light-colored 4-door sedan. That getaway vehicle was driven by a large black male. Detectives from Franklin are working with Brentwood Police who believe that this same suspect committed a similar robbery at the Moore’s Lane Bank of America ATM fifteen minutes prior. No one was injured during either robbery. Police advise citizens to use caution and be vigilant about their surroundings when using ATMs, especially at night. A cash reward is being offered for information in these robberies.